The explosion of even a single, low-yield nuclear weapon, whether intentionally or by accident, can cause massive loss of life and significant material destruction directly through blast, heat and other effects. These effects, would not be constrained by national borders, and would affect states and people in significant ways, regionally as well as globally. Any nuclear explosion would also have profound and long-lasting public health, social, political, economic and environmental consequences. These impacts have been central to recent international discussions of the humanitarian impact of nuclear weapons. Article 36’s latest briefing paper, ‘Economic impacts of a nuclear weapons detonation‘, outlines some of the negative economic and developmental consequences that can be expected to result from a nuclear weapon detonation, with a focus on public infrastructure. The full socio-economic impact of such an explosion is difficult to gauge as different scenarios involving many variables are conceivable. The paper is therefore not based on a single specific scenario, nor does it cover the full range of possible circumstances. Rather, it draws out some key points that emerge from studies that have been undertaken on the economic and infrastructure impacts of violent events and of major natural disasters. Many national economies and the world economy as a whole are arguably more vulnerable to the negative economic impact of a nuclear weapon detonation than they were in 1945. The world has become more urbanised, more economically inter-dependent, and because most national economies are today heavily dependent on infrastructures that rely on electricity and electronics, an explosion in or near an urban area can damage infrastructure in a way that has serious negative implications for an entire national economy and beyond. The longer-term consequences of a nuclear detonation and response costs would place a heavy burden on public finances, with a highly uncertain prospect for economic recovery. Furthermore, through disruption of global supply chains and through other propagation mechanisms (such as through international financial markets) a nuclear explosion can have global ramifications. Nuclear weapons present a very high socio-economic risk that is incompatible with key sustainable development goals. 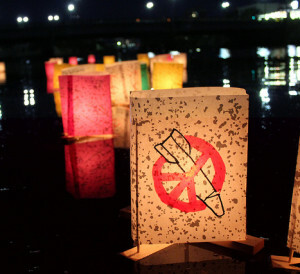 Only the elimination of nuclear weapons can ultimately prevent the unspeakable human tragedy and the socio-economic crisis that a nuclear weapon explosion could induce.